Disney's Port Orleans French Quarter or Riverside? - "A Closer Look"
Today's topic is one that pops up almost weekly on social media and one that I even get asked directly from time to time and typically give the same answer. However, what I choose is oftentimes what works for me and the people I travel with and may vary from what is best for you. So, today I'm going try and hold off on a final "verdict" until the very end of the article as to not try and sway you one way or the other without first considering a variety of factors. Honestly, in the realm of moderate tier resorts at Walt Disney World, Port Orleans is one of the most overlooked properties in my opinion. The property is excellent, and while there are a few slight qualms to the overall guest experience that set it apart from feeling quite like deluxe resort (for obvious reasons), I like to put these two properties in what I like to call a "moderate+" category. It's a term that is completely and utterly made up, but at the same time I see incredibly fitting for the property as a whole. Both sections of the overall resort area bring a lot to the table in the areas of dining offerings, transportation, and even resort recreation. On top of that, the layout lends itself to a better guest experience in comparison to some of the other moderate tier accommodations. In my option, there is no one best resort for each guest or family traveling to the parks. It's an impossible task to try and peg that ultimate "one stop shop resort" that is going to have everything that meets your needs. Price is inevitably going to be a big factor for many guests, and Port Orleans as a whole falls into what I would call the "affordable" category at around $200-$250 per night currently. It's not a budget buster for a majority of guests, but at the same time it's not going to be quite as budget friendly as the value tier in most cases. 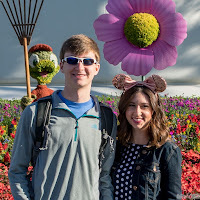 At the same time though, if you book it on a bounceback offer as we mentioned in our Disney World Discount - How We Saved 27% With One Phone Call article, it may fall in price to the point where it may work out for even the tightest of budgets. If you're looking at both resorts from a cost standpoint and trying to choose one that way, you're typically only going to save a few dollars and the resort that typically remains cheaper is almost always a toss up. Personally, I've seen French Quarter listed at a more budget friendly rate recently when their is not a big discount offer available. For example, consider the discount currently available for Summer 2018. If you book a room for July 22nd the cost is $252.00 for Riverside and $252.90 for French Quarter. There's very little difference in price but our friends over at Destinations to Travel could weigh the options for your particular dates. As always, you'll find a quote request form for them at the bottom of the page and thanks for supporting those who help support us. If you are considering staying at one of these two resorts, here's what I recommend you consider before price, mostly because price tends to be a fairly negligible difference. I will pick a winner for each category simply to give an idea of why I prefer one over the other for each category. Truth be told, I literally just typed French Quarter, then deleted it and wrote in Riverside. This one really is a bit of a toss up, but I'll tell you the one main reason I chose Port Orleans Riverside for theming. When you walk in that resort and out of the main lobby to the waterfront area with the big mill wheel rotating and the water glistening with the reflection of the main building, it's one of the few moments out of all the moderate resorts that makes you step back and think "wow, that's incredible." 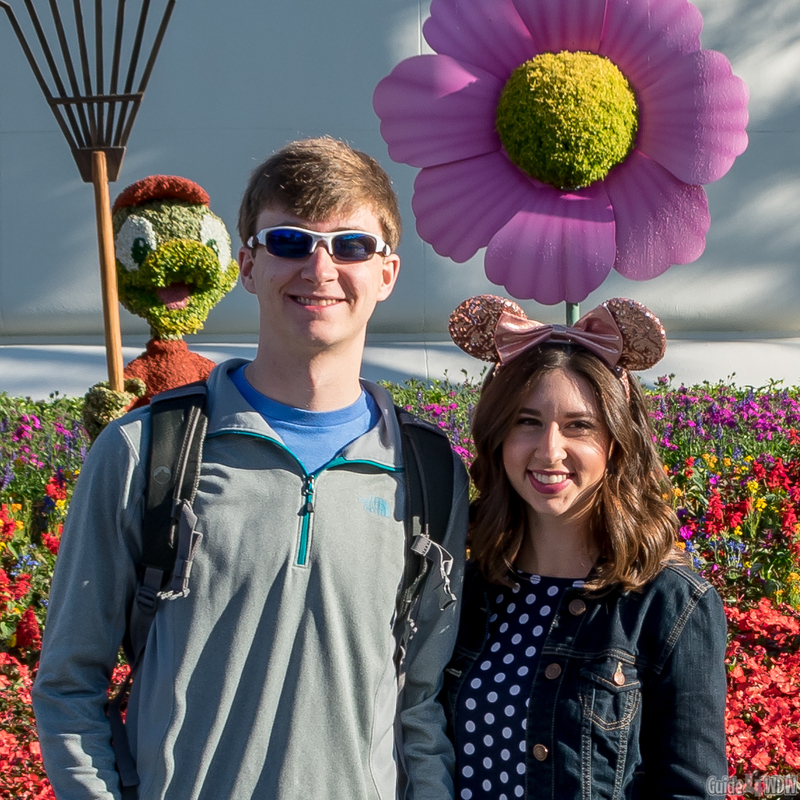 Sure, you have similar moments as you walk out to the main pool of Caribbean Beach, and maybe even walking past one of the towering statues at a value resort like Pop Century, but this is different. That "wow" moment is developed by an incredibly subtle yet largely classic and inspiring elegance that really sets the stage for the resort experience. As guests, we all tend to talk about this "transformative experience" we get to enjoy at Disney. The parks transform your state of mind and put you into your favorite film, or even into a location that you've always dreamed of visiting, and for a brief moment you're there! Sure, you're not in New Orleans, but for many of us it's about as close as we may come and even if it's not a perfect iteration of the original, it's an excellent ambiance nonetheless. To me, the edge goes to Riverside for that view in it's entirety, because in all reality, the two resorts are quite similar in regard to the resort room interiors. Riverside rooms are bit brighter with lighter wood accents and slightly different decor but the furnishings and set up are near identical with one main exception. At Port Orleans Riverside, you do get a child size pull down bed in non-royal rooms. It's a nice bonus to squeeze another person into a room that would typically only accommodate four guests. Port Orleans Riverside does offer, as mentioned, what are called royal rooms. The rooms themselves are different in that they feature touches of princess decor and a more elaborate theming than other rooms on the property. It kind of feels like a toned down version of staying in Cinderellas Castle, albeit a much less luxurious version. It is a fun option for kids or those of us who are kids at heart, but to me it seems like a bit much and is quite difficult to justify the $30-$70 increase in nightly pricing. 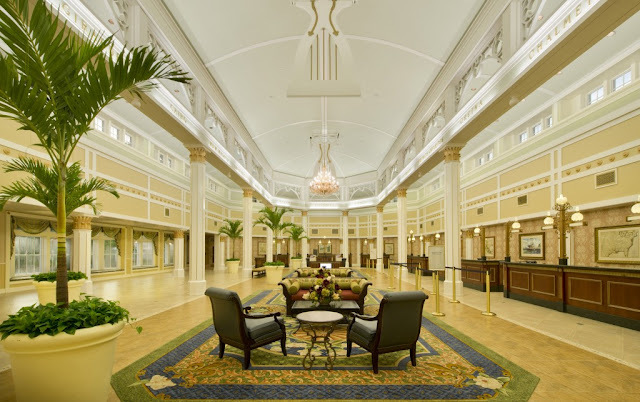 There's absolutely nothing wrong with French Quarters theming, and the lobby of the resort is quite impressive as well, but in many ways the "wow factor" is more subdued, but for what it lacks slightly in "wow factor" of design, it more than makes up for in "wow factor" for beignets! More on that later! Transportation is impossible to pick a "winner" for a few reasons. First, they share busses sometimes and either way you're going to be riding a bus to all four parks. However, what's nice about French Quarter is that the bus stop is literally a few steps away from the main lobby and dining location Floatworks. Due to the smaller size of the property at French Quarter, a majority of rooms will be a shorter walk to the bus. It isn't a make or break difference, but even a few steps could make a difference. Additionally, both resorts offer boat transportation to Disney Springs which is an excellent option for guests looking for a greater variety of shopping and dining offerings without having to ride yet another bus. French Quarter is the shorter boat ride to Disney Springs by about 7-10 minutes, but either way it's a pretty relaxed and enjoyable ride to Disney Springs with some incredible views along the way. Be aware, these are boats that are a fair amount smaller than the Friendship boats over in the Epcot resort area, and also a different style than the boats of the Magic Kingdom resort area. I've never heard a reason why, but this watercraft transportation uses a pontoon-esque boat to transport guests. For most, it makes very little difference, but as you sit still at the docks, the rocking motion of the boat when it is not in movement is a bit more noticeable. This is and was the deciding factor for us time and time again. Port Orleans French Quarter features just over 1,000 guest rooms. Riverside is home to well over 2,000 guests rooms. That variation in and of itself makes a huge difference in the scale of the resort. In turn, Riverside is much more spread out. It's not quite as spread out as Caribbean Beach or Coronado Springs, but it is a noticeably longer walk from various points of Riverside to common areas and the main pool when compared to French Quarter. For our vacations, that makes all the difference. We're known for running to the resort food area to grab a snack on the way back to the room at night or to catch a meal by the pool and the convenience factor really starts to come into play if you plan on using the common areas of the resort to their full extent. If you're just going to the parks and not spending much time at the resort, I wouldn't worry about this too much because it may not effect you all that much in the end result. Some of you may find this a bit odd, but I vastly prefer the food at French Quarter compared to Riverside. In all fairness, Floatworks at French quarter is perhaps my favorite counter service restaurant on property for a few reasons. First and foremost, they offer large meals at reasonable prices by Disney standards. The menu is massive and with 5 different "shops," each featuring a different set of food offerings, it's hard to go wrong. Between the Po' Boy shop with it's catfish and shrimp sandwiches to the carving shop with an array of meats, chickens, and even a create your own option it's truly a must do for us on nearly any vacation. Perhaps the kicker to it all is the Beignets. These little fluffy pillows have an almost donut like consistency to them with a slight crossover flavor to the funnel cake world. It's a French Quarter icon of Walt Disney World and genuinely near the top of my must-try desserts list for prospective guests. Beyond the food itself, French Quarter's food court area is a bit more quaint in nature and seems more open and welcoming in my opinion. There's nothing wrong with the Riverside Food Court and it is quite a bit better than some food courts on property but it is rather large and when it is crowded it's an entirely different atmosphere than Floatworks. On the other hand, the location's size could work in your favor when looking for a table, but in my experience that is sort of a non-issue. As far as Table service goes, there is only one table service option and that is over at Port Orleans Riverside and is Boatwright's Dining Hall. Truthfully I've never taken the time to go over there and try it out. I have heard good things about the food offered and the quality of the experience, but to me it seems like a place I'd go on a rainy day if I didn't want to leave the resort. It's not particularly special, but not bad in any regard. The atmosphere is pretty unique but it's not something that will blow you away. All things considered, if table service is a big thing for you, jump on a boat and ride to Disney Springs for a larger variety of offerings and this becomes sort of a non-factor for most guests. Perhaps one of the most iconic experiences in all of Walt Disney World is housed over at Riverside, Yehaa Bob. His performances at the River Roost lounge have become a truly hidden gem of the Port Orleans Riverside experience and are something I've been trying to make time for during our next trip. His piano and singing performance gets the audience involved in a show that is unlike any other. Just be aware that he is not there every night so be sure to check before making the journey over or planning a night for the show. Riverside's pool takes the win here for a few reasons. First, it's larger. Second, it's more elaborately themed. Third, the French Quarter Pool feels a bit outdated to me. There's nothing wrong with the elaborate serpent type dragon slide and decor of French Quarter but the pool is fairly small in comparison to other resorts. The location of the pool at Port Orleans French Quarter is excellent in that you are literally a two minute walk to the food area and mug refill station, so that's a big bonus in my book. Riversides Pool is fashioned to look like an old swimming hole and it's classic nature is incredibly fitting to the look and feel of the overall resort. It puts you "into the story" in a way that French Quarter's pool really seems to lack. A more unique selling point of Riverside is a legitimate fishing area that allows guests to fish in a catch and release manner. It's one of those little elements that builds story around the experience, and while they didn't have to add it in, it makes all the difference in a distinctly Disney manner. To many this may be a surprise but here's the thing... When we travel to Disney we do so for two main reasons. We travel to enjoy the parks, or to enjoy the resorts. For longer trips we tend to split up the time pretty evenly, but for shorter trips we devote a majority of our time to the parks. Either way, this resort fits our needs. It's exciting enough and there's enough to do at the resort that we could spend a good amount of time there, but if we want to spend a lot of time in the parks, the cost is low enough that you don't feel bad about missing out on some of what the resort has to offer. As always, we recommend a deluxe resort instead, especially if budget is not a problem. 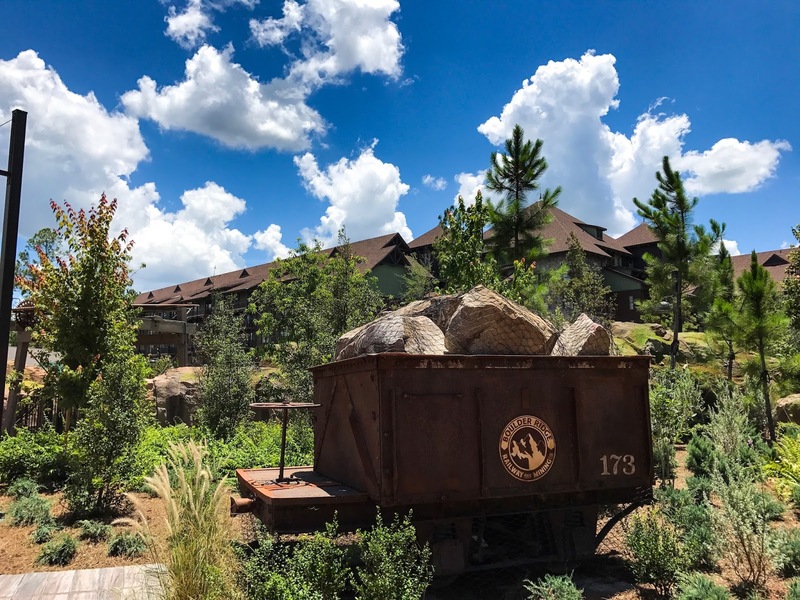 If you want to spend some time exploring and enjoying your resort in depth, my top pick is Wilderness Lodge. If you want to go all out, try Club Level at Wilderness Lodge. However, if you want to stay at a fairly budget friendly resort with the best bang for your buck on property, I certainly suggest French Quarter. If you're looking at the moderate tier, this is my pick hands down. It's better than Caribbean Beach in many ways (and we've likely stayed at Caribbean Beach more than any other resort as a result of the low prices quite a few years ago), and while that resort is a great experience this one far outweighs it in the realm of "luxury" and comfort for a few extra dollars a night (at least until Caribbean Beach construction is completed).